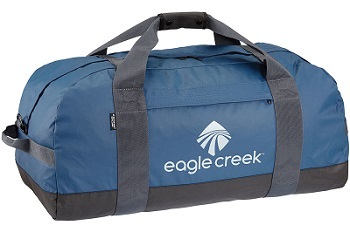 Eagle Creek Pack-It is a special bag collection for travel, leisure, work and outdoor adventures. The collection consists of different sized, flexible and robust bags designed to store all travel equipment as compact as possible. Eagle Creek caters to your needs as a traveller with products that are manufactured to enhance your travel, leisure, work and other outdoor adventures. Eagle Creek’s portfolio is made up of a wide selection of flexible and durable bags that are designed to store all of your equipment and apparel in as streamlined a way as possible. Whether you want to hit the local parks or explore exotic destinations, Eagle Creek travel bags aim to encourage everyone to discover the amazing world around them. Established during the 1970s, the company’s mission has always been to meet the needs of their customers and to optimise their experience when travelling - whether near or far. The brand’s portfolio of high-quality bags, backpacks and luggage are engineered to make trips as stress-free, fun and enjoyable as possible, leaving you to focus on your experience - and not on where you put your things. Eagle Creek also maintains a travel blog, on which passionate travellers can read, among other things, about a variety of travel tips, adventure ideas, packing tips, product reviews and advice on exciting destinations to visit, aimed at encouraging its customers to leave the comfort of their home environment and to get out onto the open road to explore the world around them. The company is proud to manufacture their products in the most sustainable way possible. By building products that are extremely robust and long lasting, they help to eliminate waste and reduce the effects on our planet. Eagle Creek also strives to make sustainable choices for the environment in their office buildings. Furthermore, their Live.Work.Travel programme endeavours to form partnerships with local communities, including supporting non-profits with financial and product donations and organising company volunteer days.